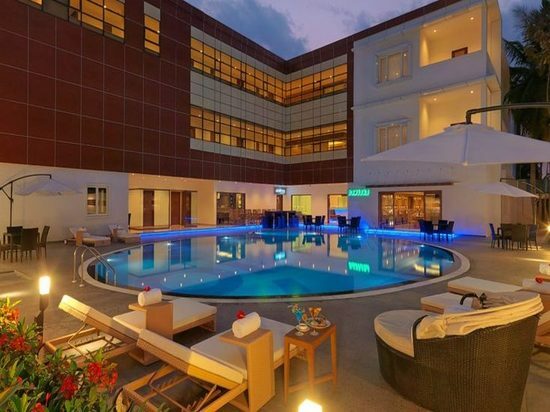 Nestled in an oasis of 36 acres of sprawling landscaped and manicured lawns, Goldfinch Retreat is one of the finest four star hotels in Bengaluru featuring the latest technology along with trendy guest amenities and services near Bengaluru International Airport. 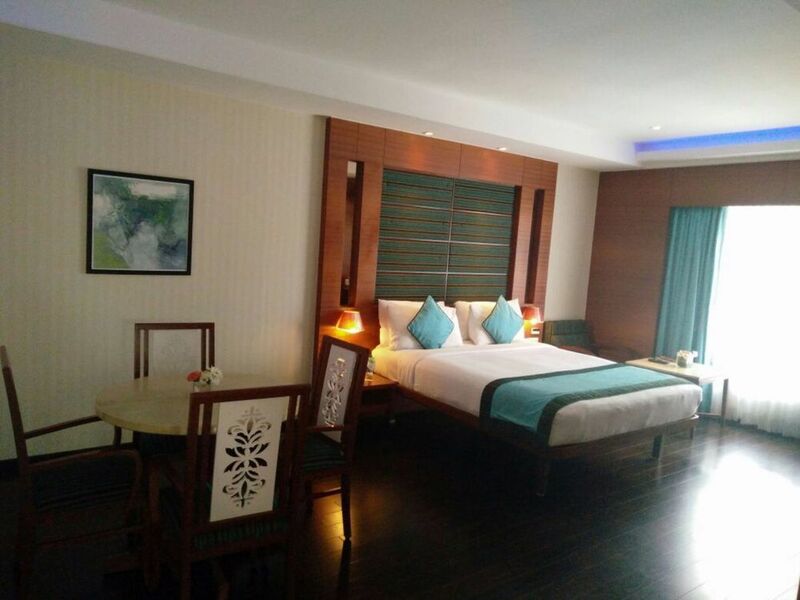 The hotel is strategically located just 7 kms from the New International Airport, Bengaluru. 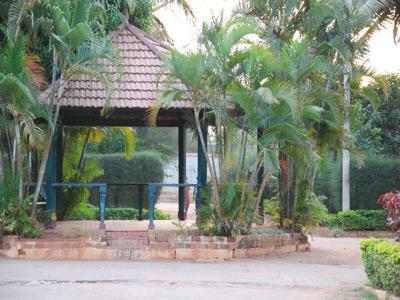 Get away from everything in a vivid garden city. 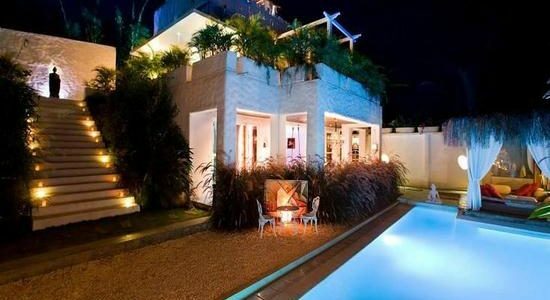 Live between a modern city and the open country. 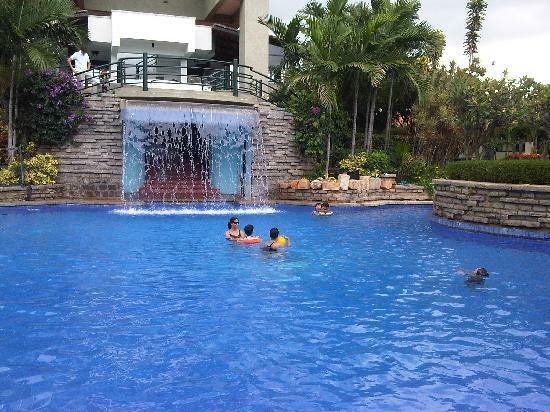 Soak yourself in nature every moment. 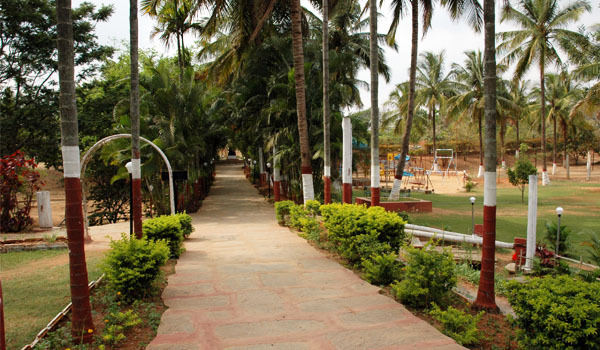 Stroll through palm trees. 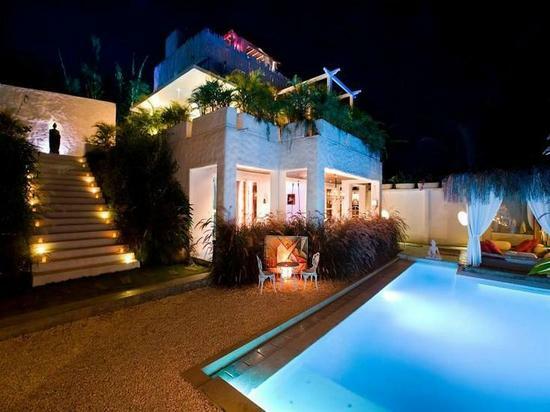 Listen to falling waters. 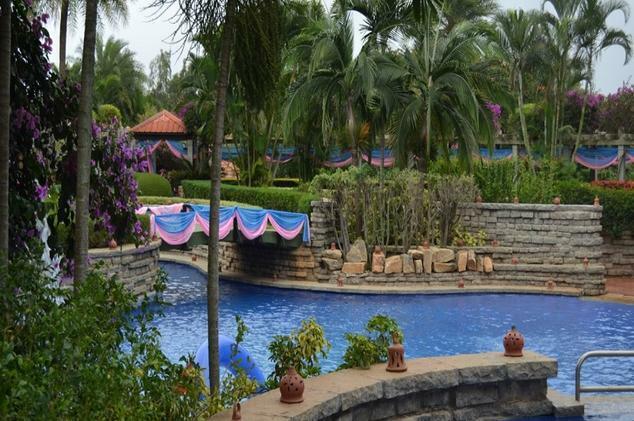 Surround yourself in fresh greenery and colorful flowers. 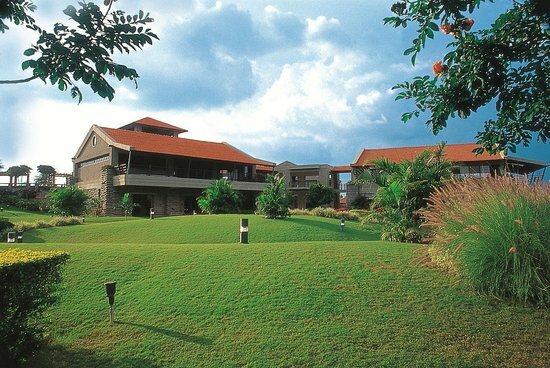 Discover an enchanting allure at Angsana Bangalore. 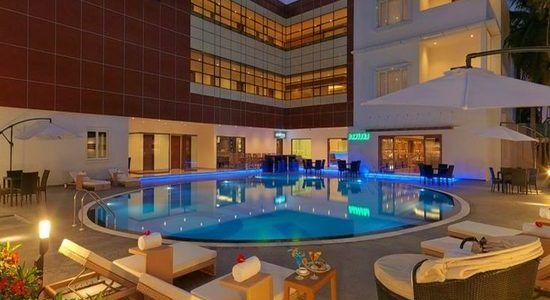 We are proud to introduce ourselves as the pioneers in introducing the concept of leisure with business facilities of high standards. 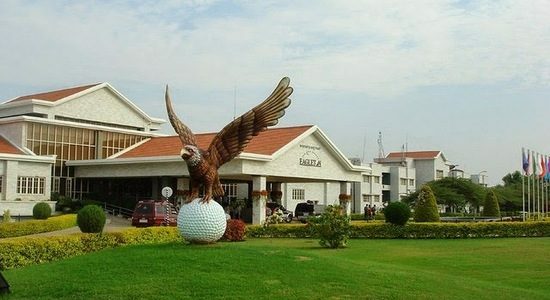 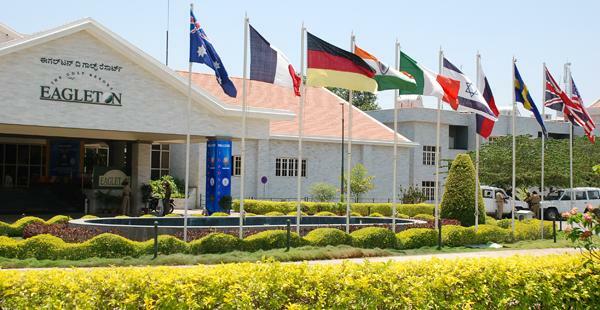 “Eagleton – The Golf Village” is known for presenting a unique capsule for the present day corporate that demands business with pleasure. 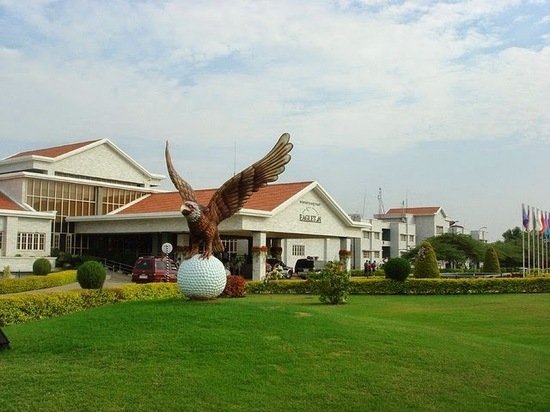 We take immense pride in introducing our International Standard Golf Course (Rated as one among the top 5 Golf courses in India), our expansive club house / hotel which is centrally air-conditioned measuring about 3,00,000 Sq Feet (is the biggest of its kind in South East Asia) and of course our Residential Enclave offering you with a choice of ready to build sites of varying dimensions or offering readymade villas. 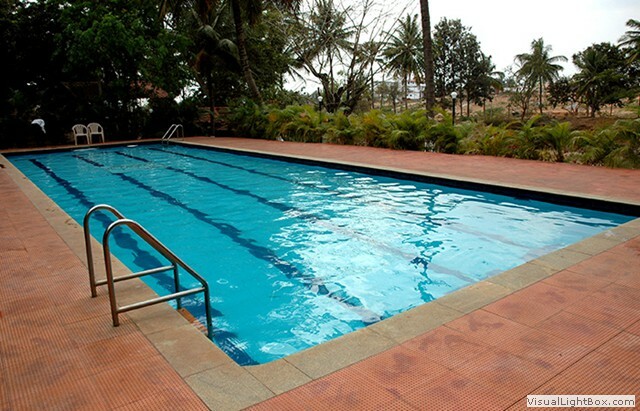 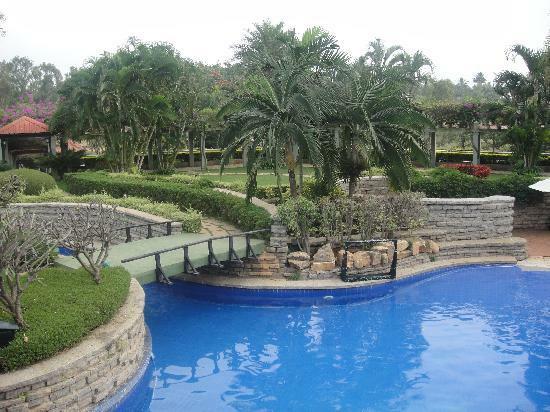 All of these amenities / facilities spread across 500 acres complex with lush green environment and much more…. 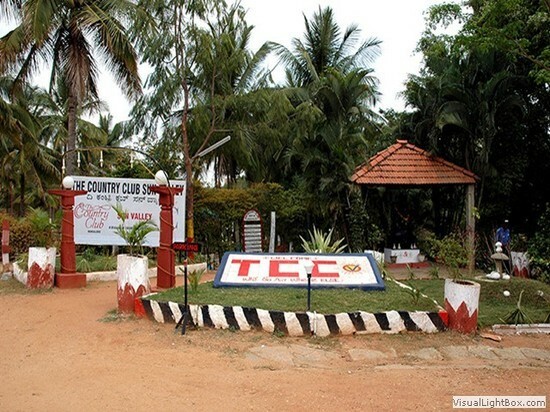 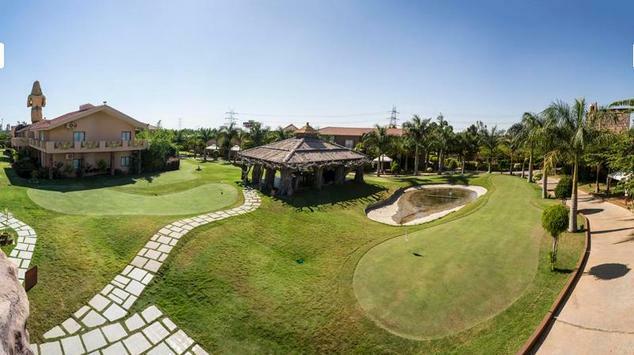 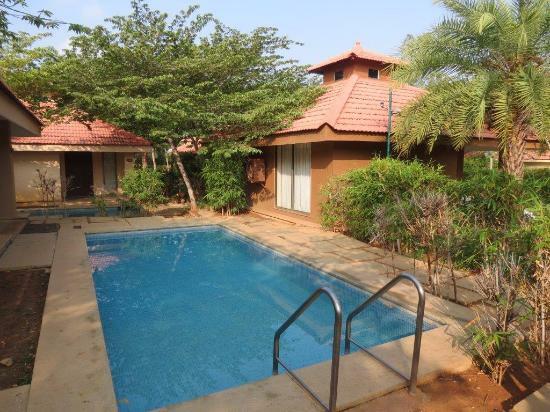 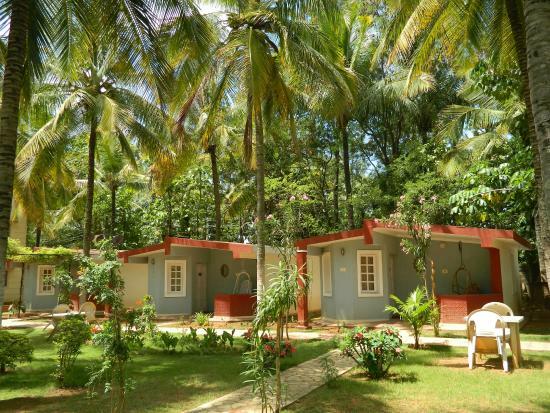 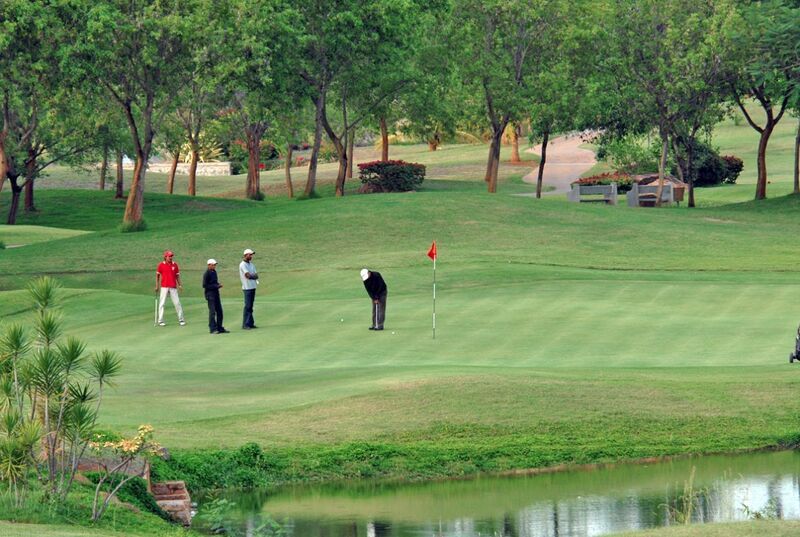 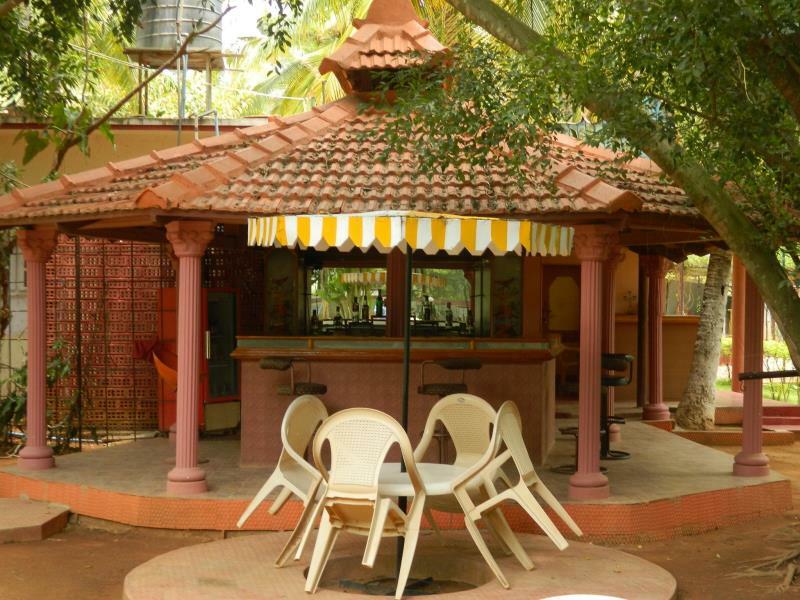 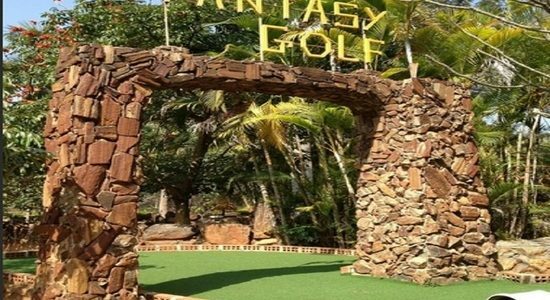 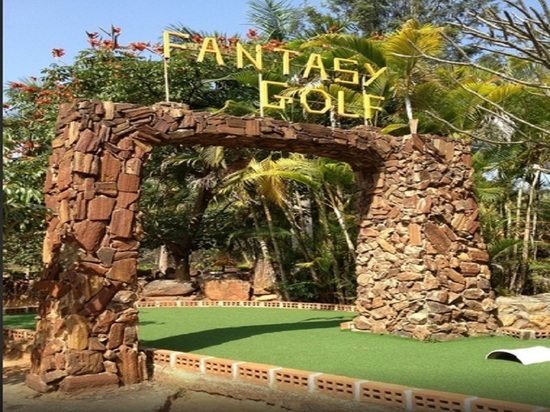 Here you are welcomed by the soft rustle of palms swaying in the gentle breeze, the chirp and twitter of the countryside birds and by our courteous staff into one of the few mini golf resorts in Bangalore. 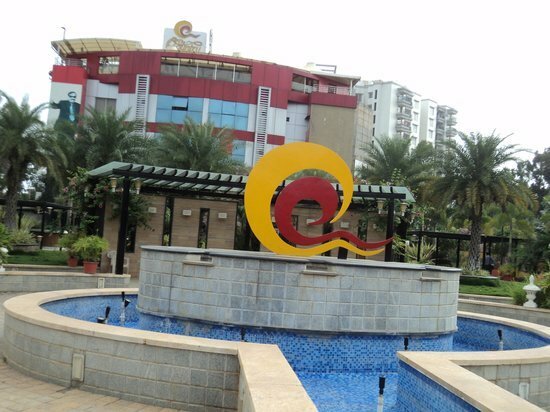 Being conveniently located on the New Bangalore International Airport Road, it is only a 25-minute drive from downtown. 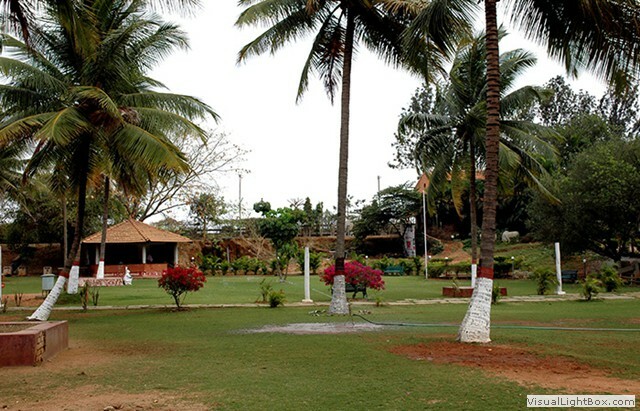 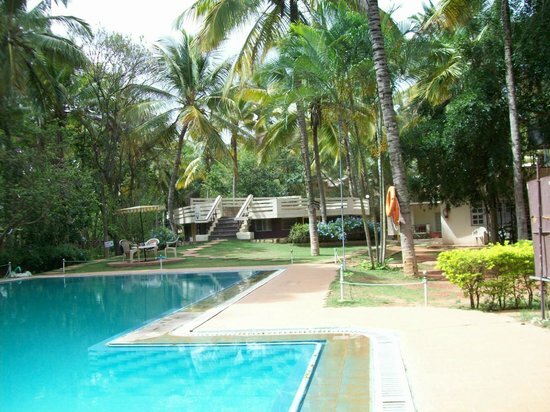 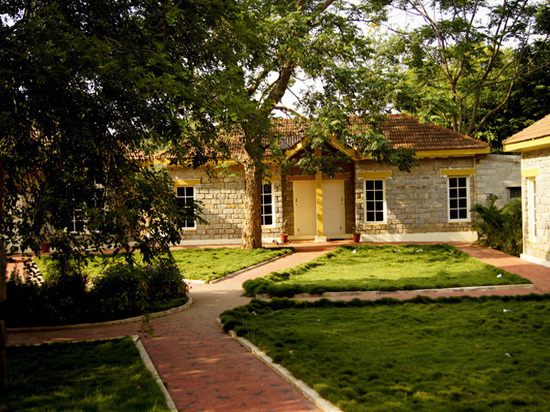 This beautiful resort has taken care to preserve the greenery, open spaces and peace that Bangalore was once famous for. 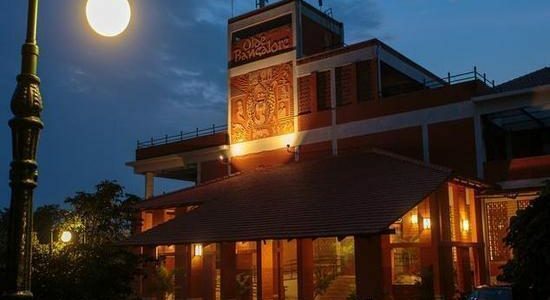 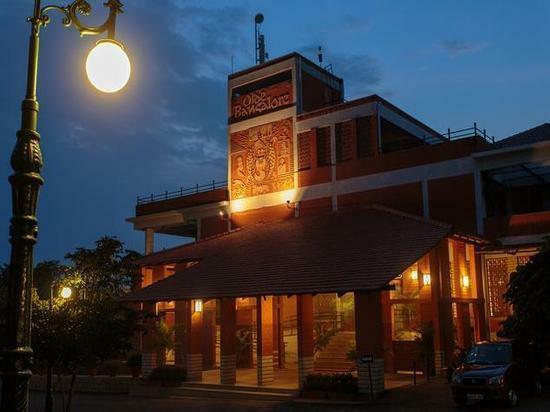 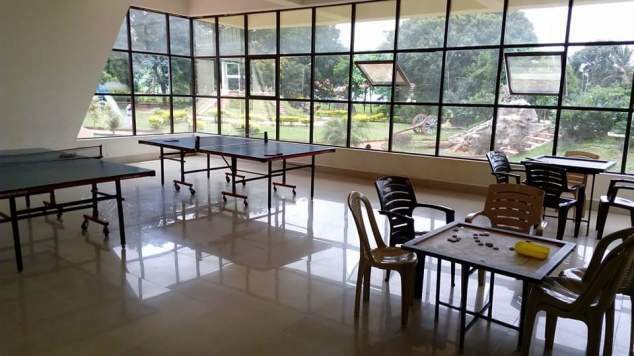 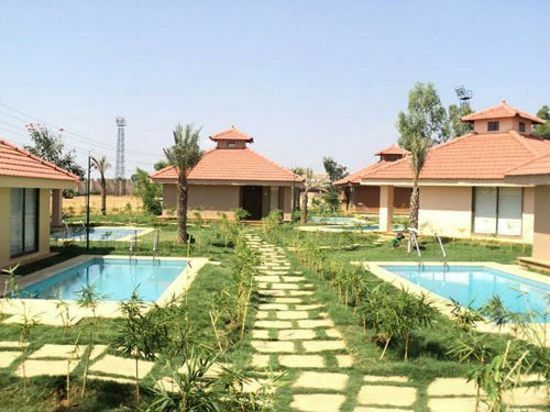 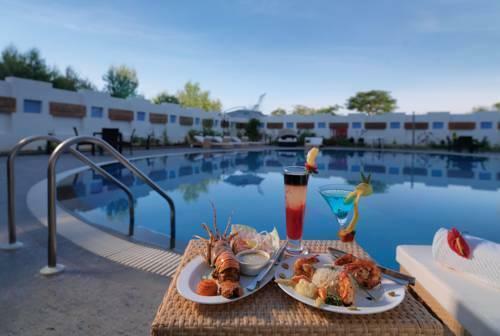 The resort features state-of the-art rooms and cottages, restaurants, banquet halls, a big swimming pool, cricket ground, 5-aside football, miniature golf course, outdoor games and indoor games pavilion and plenty more!! 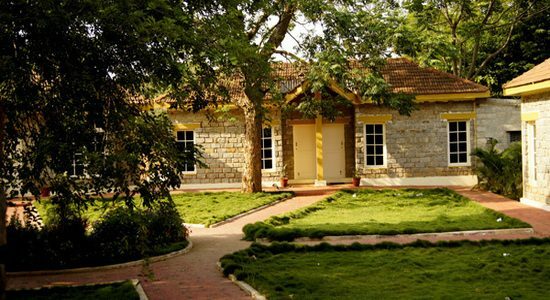 Specified place for attractive surroundings of Anjanapura, Capital Club Resort, Bangalore, is an ideal destination to spend holiday time. 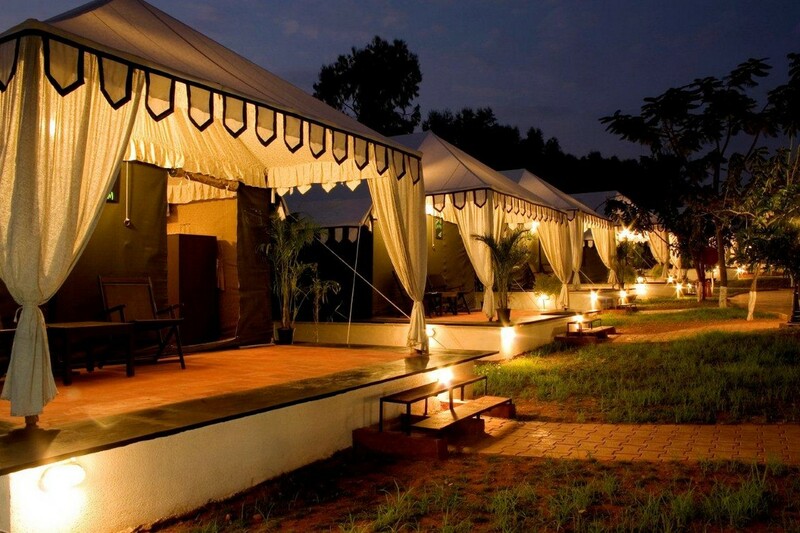 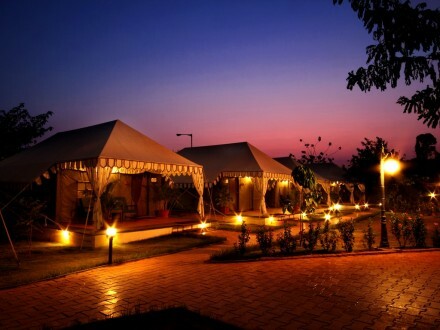 The refreshing atmosphere and a beautiful setting in the lap of nature ensures a memorable stay for the guests. 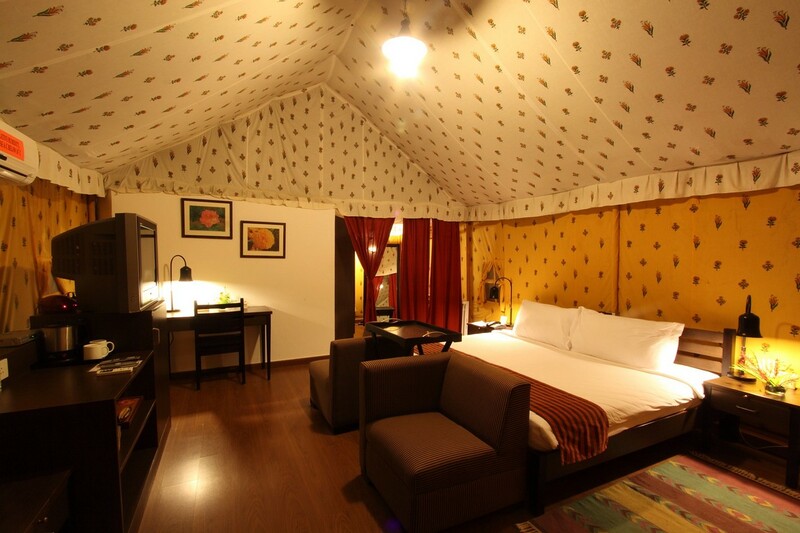 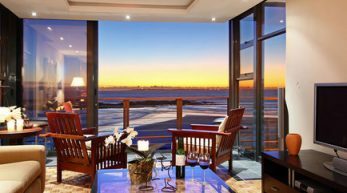 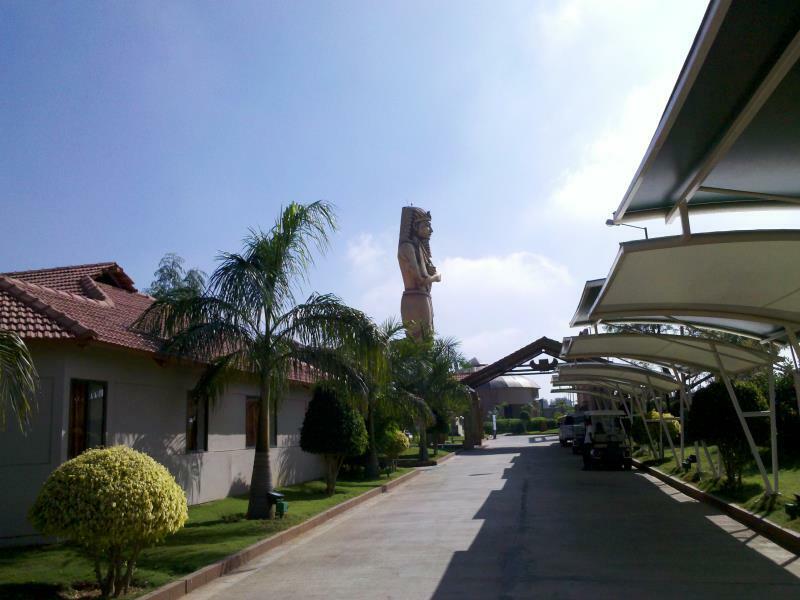 The heart-warming hospitality and upscale services makes the stay pleasant and memorable. 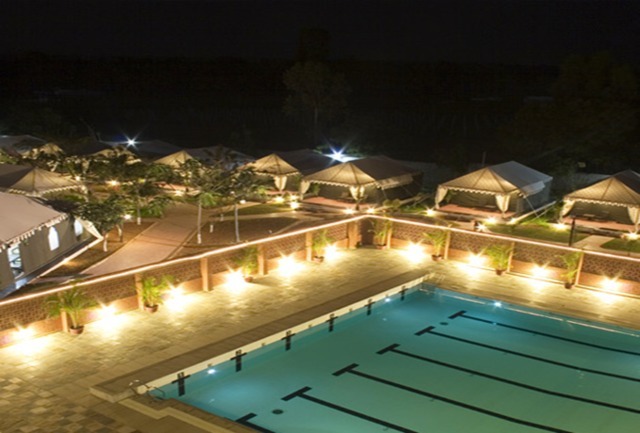 Located in the leading information technology hub of Bangalore – Marathahallli Outer Ring Road –and loaded with several world-class hospitality amenities, the Country Club Sarjapur is your ideal leisure destination in the city. 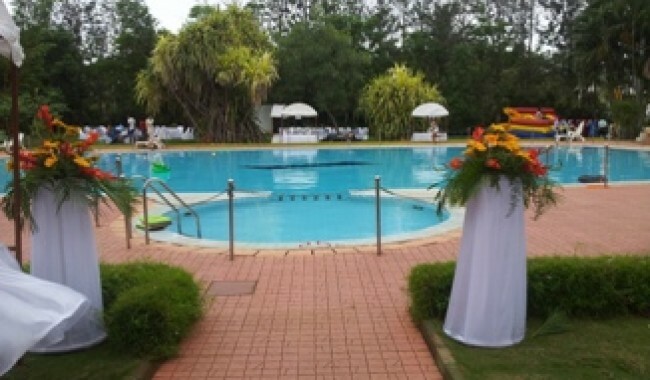 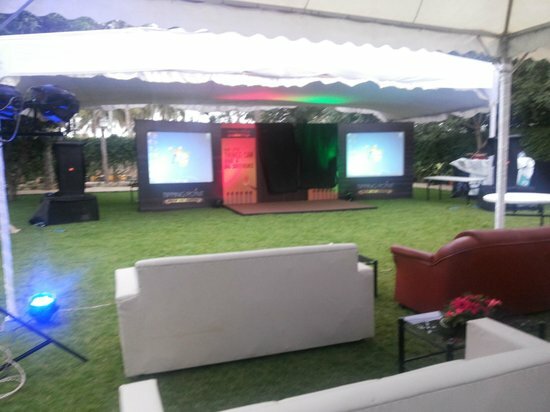 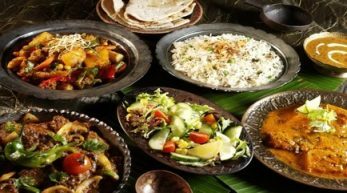 Also, it offers splendid banquets and corporate get-together facilities. 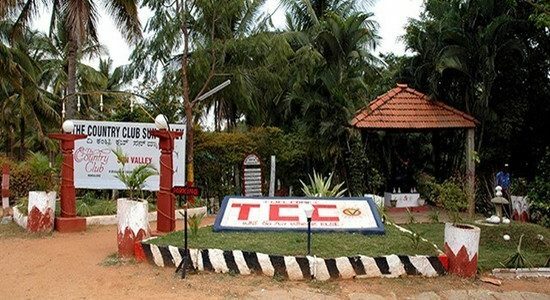 Located among acres of green cover on Magadi Road, the Country Club Sun Valley is your ideal place to hang-out with family and friends in Bangalore. 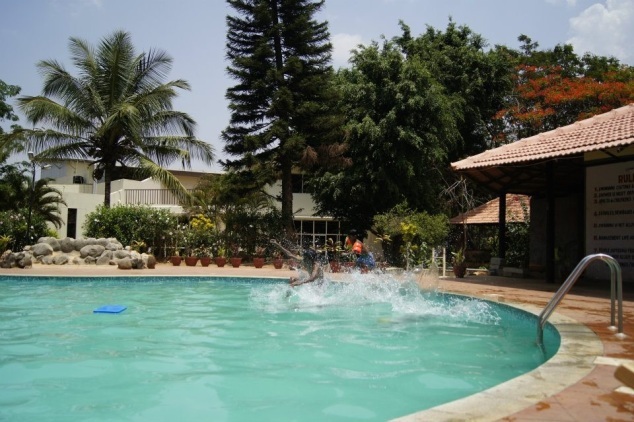 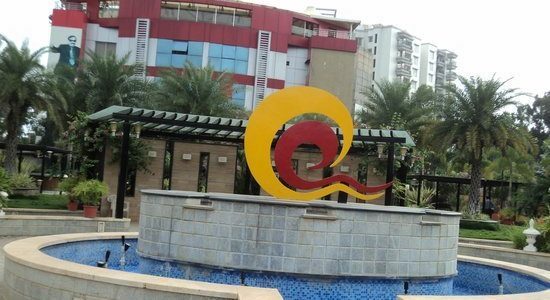 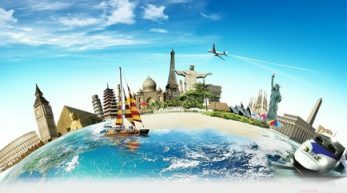 Situated next to the NICE Peripheral Ring Road, the club offers choice of leisure amusement and business meet amenities. 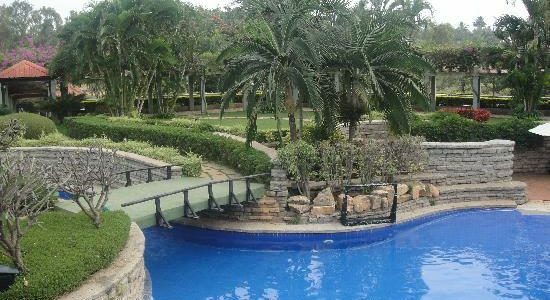 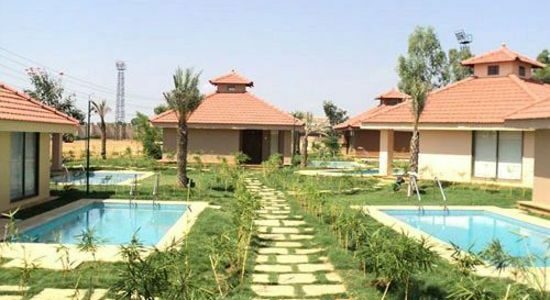 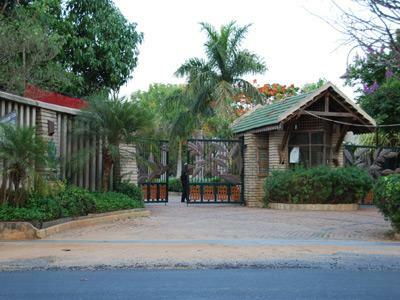 Welcome to the elegant Chairman’s Jade Club & Resort (A unit of Chairman’s Resort, Sahakar Nagar), a club of international standards spread over 8 acres of lush gardens on the 250-acre Jade Gardens. 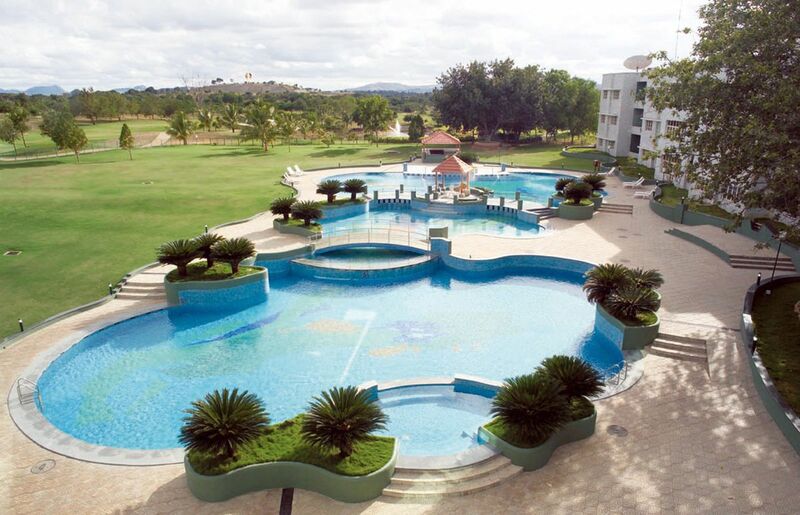 Located 5 kilometres from the Bangalore international airport at Devanahalli and 26 kilometers from Bengaluru city.